Helen Elizabeth Burke, 92 of Lincolnton, GA peacefully moved to her heavenly home on April 12, 2018. Born in Greenwood, SC on February 21, 1926, she was the daughter of the late James Clifton and Mary Harper Davenport. She was married to the love of her life, John E. Burke for 57 years and made their home in Lincolnton, GA. Helen was a homemaker and joined with her husband John in the creation and ownership of Burke Contracting in 1960 which later became Whitestone Utility Services. She was a charter member of Lincolnton First Assembly of God Church and at her passing was the oldest living charter member. She was a devoted Sunday School teacher to young children for over 50 years at Martins Crossroads CH Church and First Assembly of God. 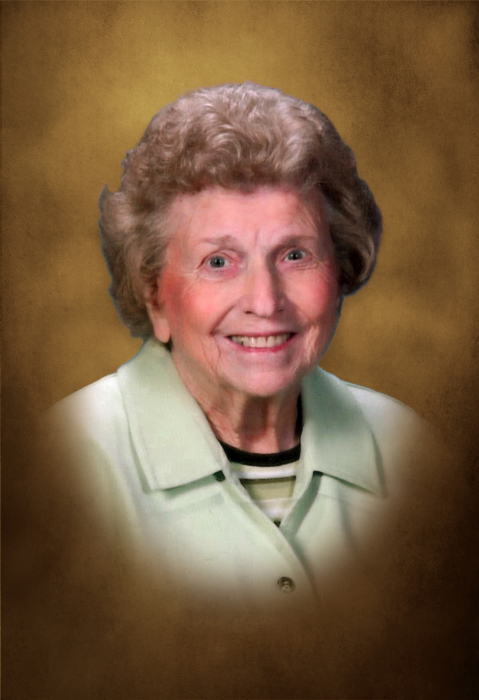 In her Christian walk, she exemplified true unconditional love to her family and all she met. She made coming to her home special and it was open to all, including the less fortunate who needed someone to show them love and care. She truly had a servant’s heart and a “ministry of helps”. In addition to her husband, she was preceded in death by her grandson Jay Russell Odum, brother James Davenport, and sister Louise Freeman Parkman. Left to cherish her memory are her daughter Bunkie Burke Rivkin of Dunwoody, GA, son Bill Burke and wife Alana of Lincolnton, GA, grandchildren Jeff Ross, Melanie B. Schrimsher, Bridgett B. Weller, Adam Burke, 10 great grandchildren and many nieces and nephews along with numerous loving friends. The family would like to give special thanks to her caregivers, Cathy Banks and Beverly Booker. Funeral services will be held on Saturday, April 14, 2018 at 2:00 at First Assembly of God. Visitation will be at the church from 1:00 up to time of service. Interment will follow in Martins Crossroads CH Church cemetery. In lieu of flowers, if so desired contributions can be made to First Assembly of God Mission Fund or Martins Crossroads CH Church cemetery fund.